Silk Charmeuse with Stretch in Peach. High quality, around 18 mm, with drape. 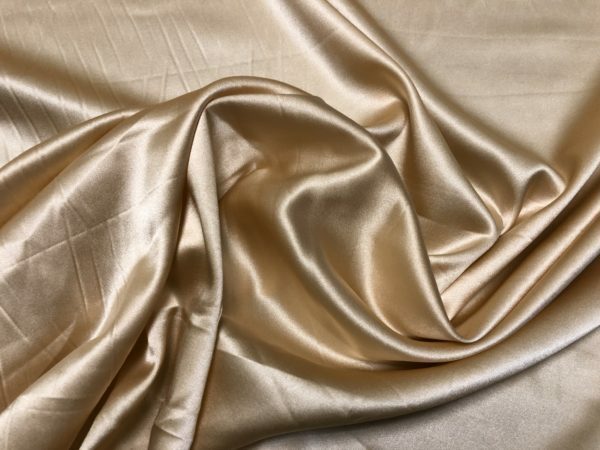 Charmeuse is a crepe weight that has a satin finish and is typically used for a shirt, blouse, top, skirt or dress, 40″ wide. *The Color is accurate, but a tad lighter in person, sample suggested.